Primers have been the one makeup product I had never really paid attention to that much. 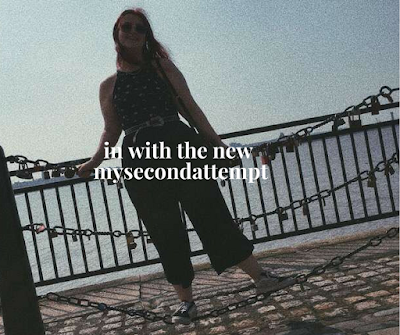 It used to be the one step I skipped most days. I never really understood the benefits of a primer if I had already just applied a moisturizer. However, I was noticing that my concealer/foundation just wasn't lasting as long as it really should. And after watching several videos everyone suggested primers. So there I was back to trying primers again. Primers essentially, are something you apply after moisturizing your face to help to create a smooth base for your base as well as trying to increase the longevity of your makeup. I wanted a primer that I would make sure my makeup lasted the whole day through college. I decided to go for a brand I had never really tried before. 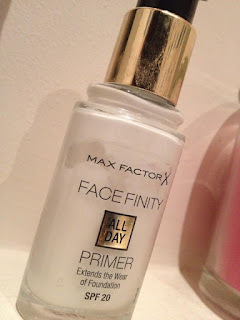 Max factor, from the products I had previously tried I wasn't really that impressed so I decided to try one of their newest primers. This is the Max Factor Face Infinity Face Primer. This primer includes an SPF 20, claiming to extend the wear of foundation all day. Making sure that your makeup isn't gone off your face halfway through the day. The primer has a silicone texture, it reminds me of the Rimmel Lasting Perfection Primer just more runny. In terms of this being a silicone type primer I would recommend using 2/3 pumps just because it can be a bit tricky to work round the face at first. When applied, the primer seems to sink into the skin fairly quickly. Unlike other silicon primers I didn't have to wait ages nor did it leave my face feeling stiff due to it being silicon based. I have used this primer just with concealer and also on the days when I have worn a full face of makeup. I find that there isn't really any difference between these looks. No matter what is on my face, the primer helps to keep it on my face for as long as possible. After testing this for about 4 weeks now, I can safely say that this primer does exactly what it says on the bottle. I wouldn't say it is potentially the best long lasting primer but it is one of the best out of the drugstore that I have tried. Now here is when I want to know about your opinion, if you have tried this primer or any others feel free to comment down below and I may end up reviewing them soon!